The baseball team is off to a 22-6 start this season and ranked No. 10 in the country (as of March 31). This hot start over the course of the first month and a half has been fueled by a solid pitching rotation. Of the starters, sophomore lefty Reid Detmers has been the ace with a 5-1 record through seven starts. The win-loss record is impressive, but the eye-catching statistic for Detmers is his 0.92 ERA. That less-than-one ERA is good enough for 17th in the country and first in the ACC. On March 22, Detmers suffered his first loss of the season in a 3-1 tilt against conference opponent Georgia Tech. Although the outcome did not fall in Detmers’ favor, he secured an enormous feat in striking out 16 batters. 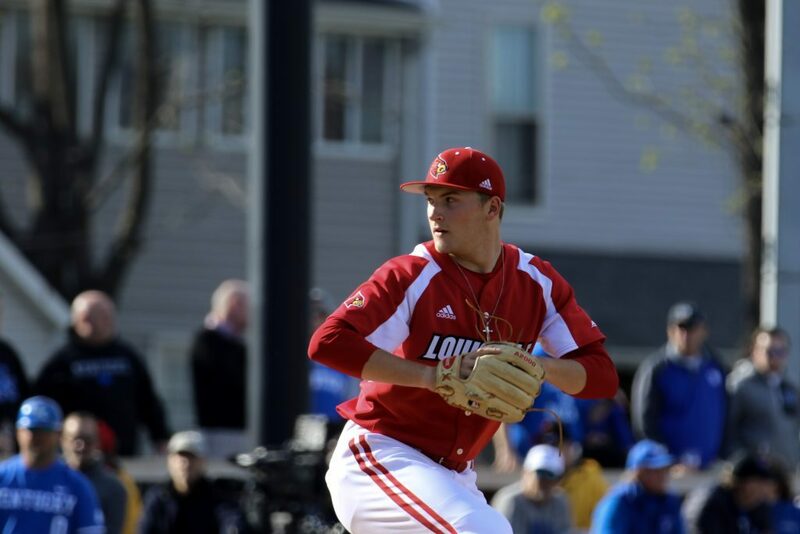 These 16 K’s are the most by a Cardinal pitcher in the history of Jim Patterson Stadium, breaking Brendan McKay’s record of 15 against Pittsburgh in March of 2017. “There’s a lot of Brendan McKay in him,” head coach Dan McDonnell said after the loss on March 22. “You see a lot of similarities. He’s very professional in his work ethic, his accountability. Obviously, they’re (both) left-handed. They look the same. They’re smooth. Mechanically, everything he does looks clean,” McDonnell said. This comes as high praise for a young player like Detmers, who is returning from a 4-2 freshman campaign and a less-than-stellar 4.85 ERA last season. Going into last Friday’s matchup against Wake Forest, Detmers ranked second in the country in strikeouts behind Navy’s Noah Song. Detmers trailed Song by 12 strikeouts. U of L secured the first of a doubleheader against Wake Forest behind 10 K’s from Detmers, moving him closer to that top strikeout spot. Going forward, Detmers and the Cardinals will look to extend their five-game winning streak against rival Kentucky at Jim Patterson Stadium on April 2 at 6 p.m. After facing each other in Louisville, the Cards and Cats will square off in Lexington on April 16 at 6:30 p.m.
After the Kentucky matchup, Louisville hits the road for a weekend series at conference foe Clemson.